This well presented apartment of approximately 140 sqm is based on the first line in a high end residential complex in the beautiful area of Son Veri Nou. Palma city is reached within a 15 minutes drive. 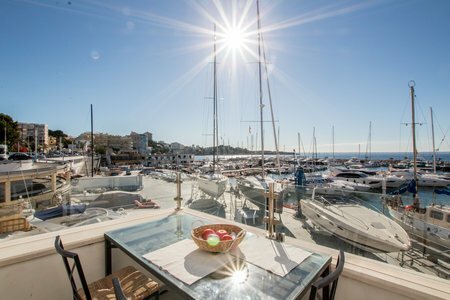 The property has partial sea view and a large living room with direct access to the sunny terrace of approximately 84 sqm. It also comes with a separate dining room, which easily can be converted to a bedroom, a large and fully equipped kitchen with a separate laundry area, two double bedrooms (one with a small terrace), two bathrooms, a private roof top terrace and a underground garage. The complex also features a nice community swimming pool and several green areas. It is located only a few steps from the beach in a very quiet neighborhood. The apartment has additional qualities such as air conditioning, built in wardrobes, tile floors and a opportunity to make a chill out area on the roof top terrace (approximately 38 sqm). 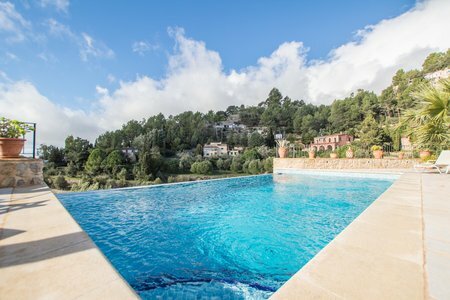 Cala Blava is a nice and quiet residential area in South Mallorca close to the international airport and golf courses. There are shopping possibilities and cafés close by. There is also a beautiful bay for swimming with clear blue water. 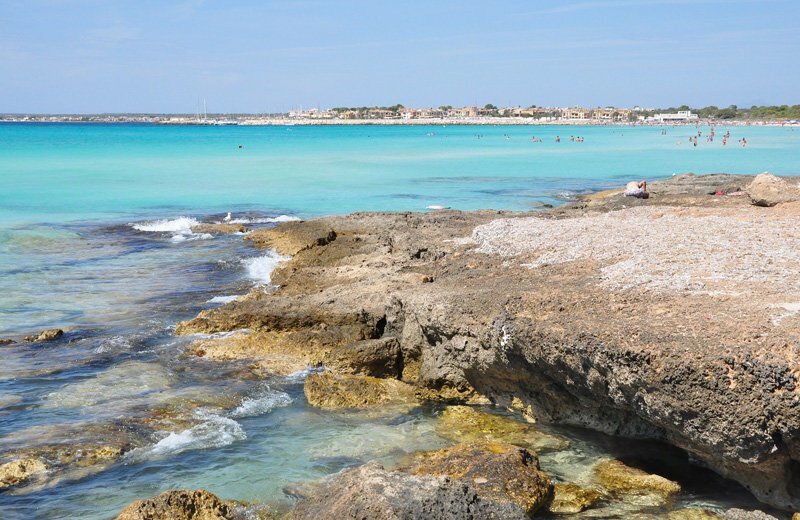 Palma is within easy reach, only 15-20 minutes away by car.